WordPress is free and open-source management system through you can use to create an attractive website or blog. It just may be the simple and most flexible blogging and website content management system (CMS) for the learner. WordPress Websites is works on PHP hosting. It’s probably the simple and most strong blogging and website content management system in existence today through WordPress you can build and manage your own full-featured website using just your web browser. 1. WordPress is Open Source management system. 5. Through Wordpress, you can control your own content. Note: Apart from the above features in this article we are discussing the Permalinks which is one of the main features of the WordPress. Permalink is the link to a separate blog post. Those are important because if you ever need to link to an accurate blog entry you can use the permalink as your link. Permalinks are the persistent URL to your separate pages and blog posts. The Settings Permalinks Screen authorize you to select your default permalink construction. You can select from usual settings or create custom URL construction. You have to click the Save Changes button at the bottom of the screen for new settings to take reflect. What are the Benefits of Permalink? 1. Permalink is easy to remember. 4. It provides SEO benefits. 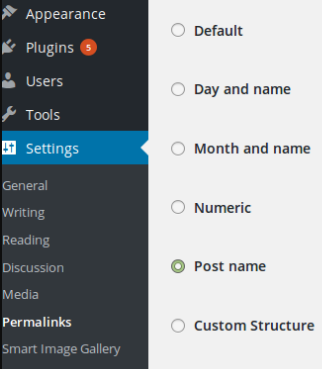 Structure of WordPress Permalinks settings. Kindly login to cpanel and edit the .htacccess file.